Roger Federer will be in Singapore this December, playing in the Republic for the first time when he represents the UAE Royals in the International Premier Tennis League (IPTL). The Swiss confirmed his attendance at the three-day tennis event on Friday, setting up a likely US Open final rematch with world No. 1 Novak Djokovic at the Singapore Indoor Stadium from Dec 18-20. The Serb is headlining home side Singapore Slammers. "I love playing in countries where I have never played before. That is something that is always special to me. I know Singapore has embraced tennis in the past few years; so going there to play is very exciting," Said the 17-time Grand Slam champion and world No. 2. This will be Federer's first visit to Singapore since a one-day stopover in January 2013, when the tennis star was invited by Credit Suisse as its global ambassador. He added: "It's going to be a very special experience for me. I don't often get to play in new countries and I hope they are excited. 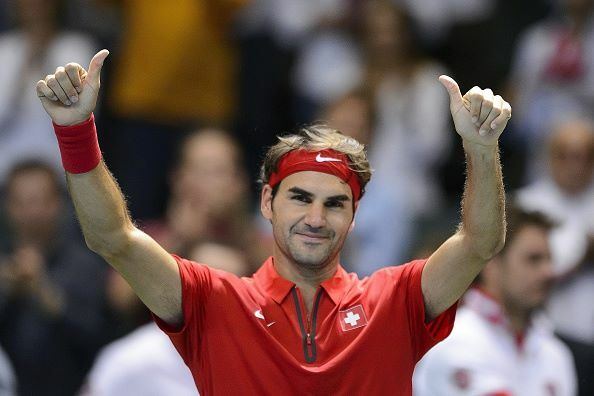 "I have been to Singapore before but not to play tennis and I have had a chance to interact with some fans. So, if that trip was any indication, I am very excited to be welcomed again and have a lot of fun with my fans." The IPTL, now into its second year, is a mixed team tournament that features tennis played in an abbreviated format. World No. 1 Serena Williams and legend Andre Agassi played for the Singapore side last year. This year, the event will feature 35 of the sport's biggest names, including Rafael Nadal, Serena Williams and Maria Sharapova. The event will make stops in Japan, the Philippines, India and United Arab Emirates before the climax of the final in Singapore. Season passes, from $195, are on sale at Sports Hub Tix. For more information, visit www.iptlworld.com.